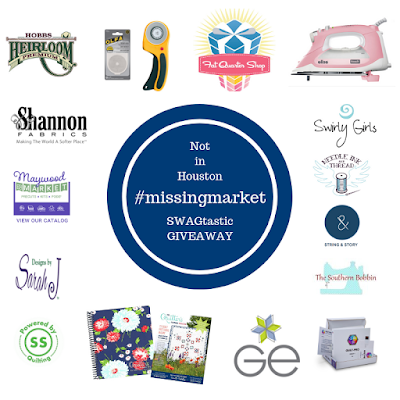 Who is ready for the most SWAGTASTIC SWAGTACULAR Missing Market Giveaway? International Quilt Market is such an exciting time for everyone! All of the quilting industry under one roof with new fabrics, threads, sewing machines and collections of every kind! The fabulous and fun Mathew from MisterDomestic and Go-Go Kim are co-hosting a #missingmarket event on Instagram and invite you to join us for the MOST HAPPENING PARTY that is NOT in HOUSTON! You can find the #missingmarket Instaparty by visiting @misterdomestic and @gogokim! 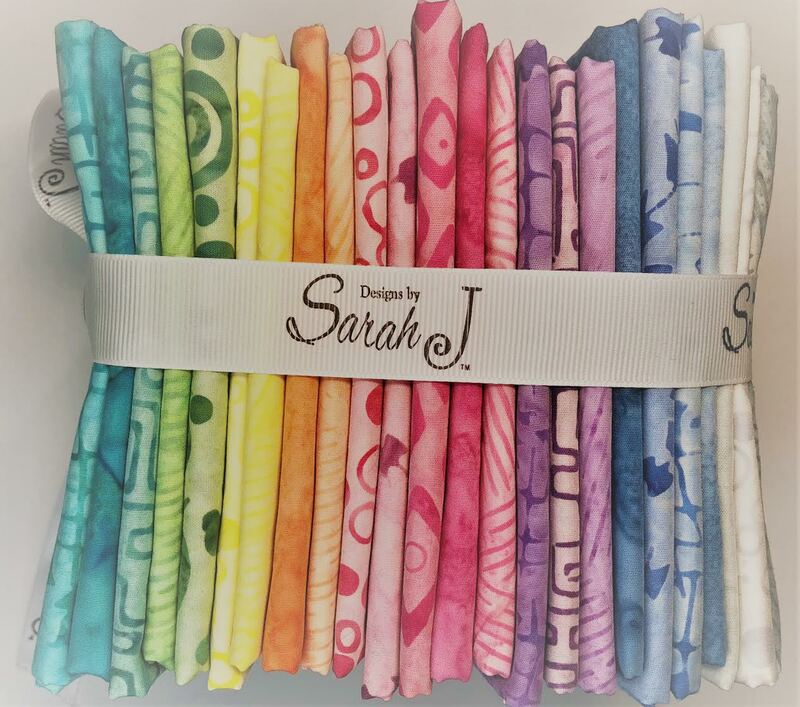 If you are not on Instagram, we did not want you to miss out on the opportunity to grab some Quilt Market goodness! This sponsored giveaway is generously offered by leaders of the sewing and quilting industry that want you to enjoy their FABULOUS Quilt Market swag! 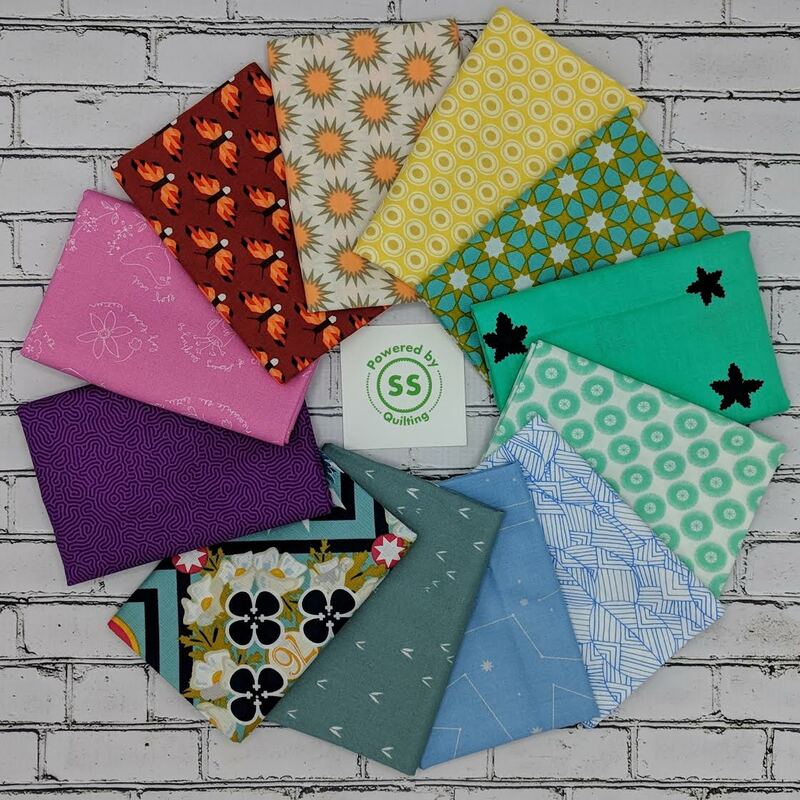 There are a variety of brands including some you know and love and also some that are just starting out on their adventures in the sewing and quilting world! If it is not on Fat Quarter Shop, it does not exist! 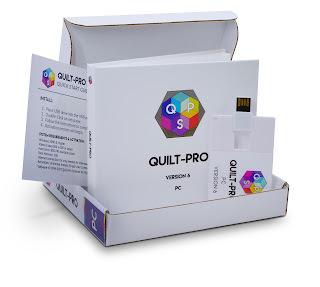 This $40 GC will be perfect for fabric, thread, needles or anything else you need! If you have never had the opportunity to feel a cuddle quilt, you will fall in love! 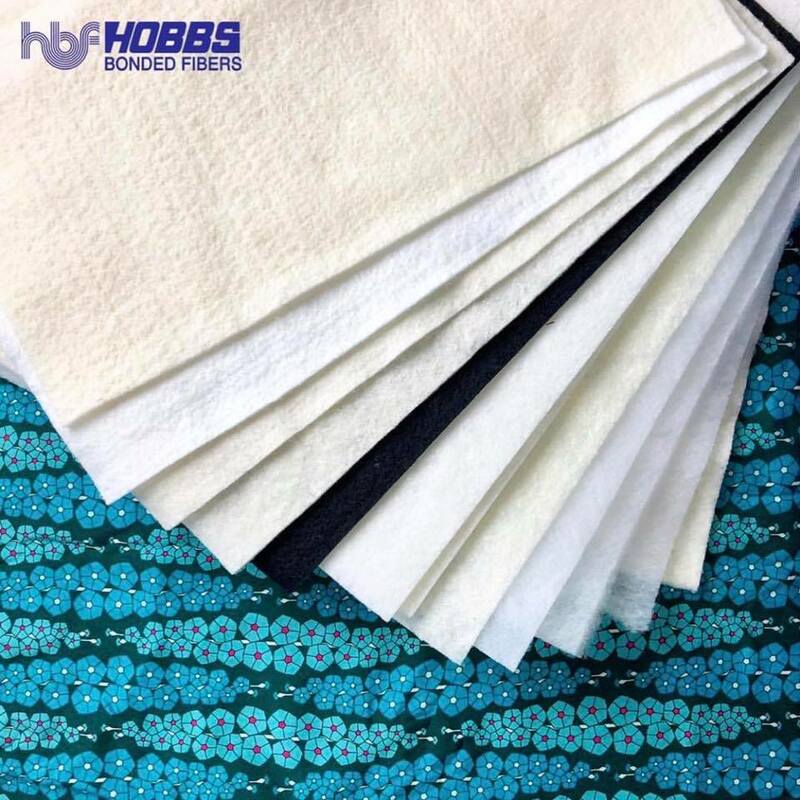 There is not a word to describe how soft and warm Cuddle fabrics are. 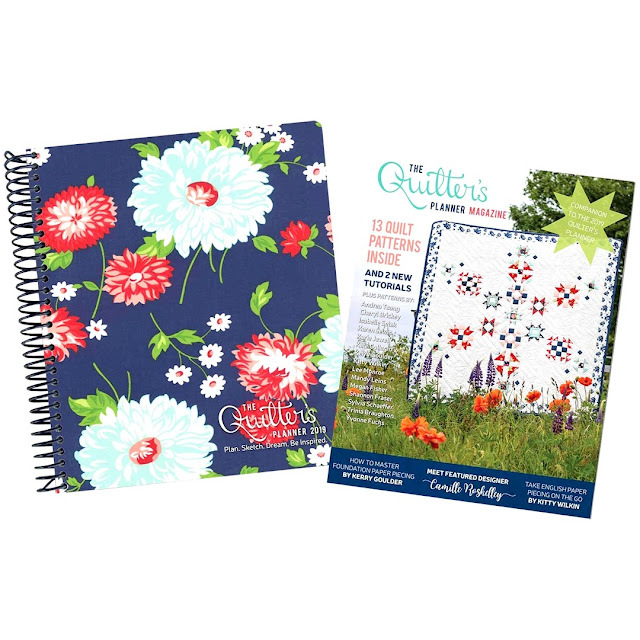 A 2019 Quilter's Planner and QP Pattern Magazine. 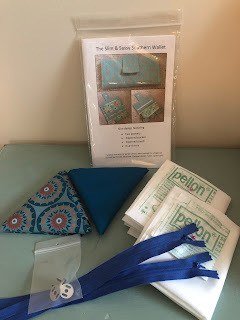 Stephanie Palmer has made sure to include everything for your busy home and sewing life! 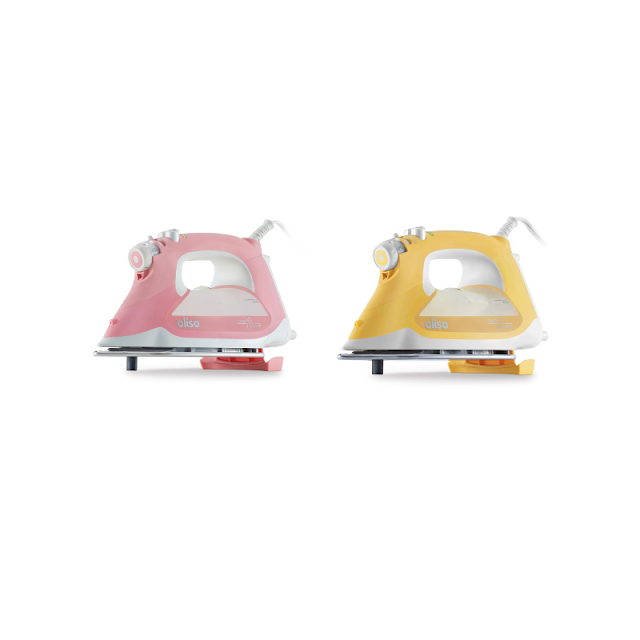 Your favorite iron brand oliso is giving you the choice between the pink or yellow Oliso® Pro™ TG1600 Smart Iron! Oh My Goodness! This magical iron will spoil you with dependable heat, hot steam ( if you like steam) and a feature that cannot be found on any other iron! It raises itself up to avoid scorching! A fat Quarter Bundle of her new Sew Sweet Batiks for Marcus Fabrics. These batiks are so light and airy. The colors are like a candy shop window! What's in your quilt sandwich? Make it Hobbs Batting! The quilter's choice of quality batting! Two digital patterns that are brand spanking new and a pair of String & Story vinyl stickers for your sewing machine , sewing box or even your computer! Safety is always first in the sewing room! 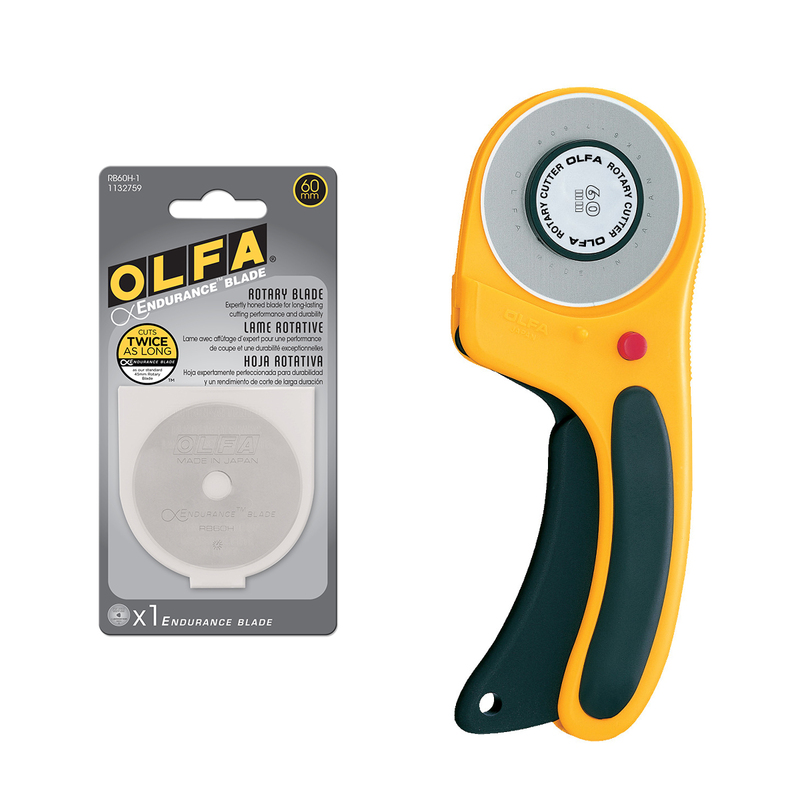 OLFA 60mm Rotary Cutter + 60mm Endurance Blade is not only good for your hands but has a safety lock when not in use. A gorgeous fat quarter bundle + 3 quilt patterns! 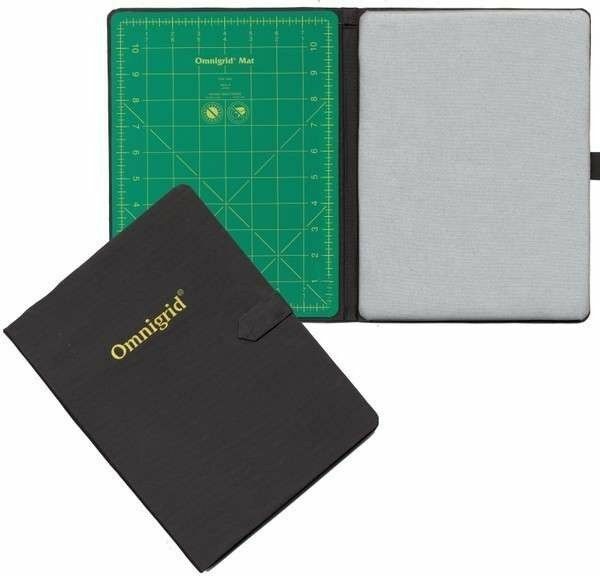 Omnigrid Foldaway Mid-Size Cutting Mat & Ironing Area 9in x 12in. Perfect for at home or on the road sewing! Gudrun offers a great variety of items including her Stripology books and Rulers! 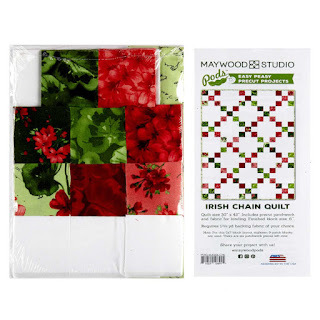 A Maywood Studio Chloe Irish Chain Pods Quilt Project! Discover a new way to make projects even faster! Maywood Studio Pods are a precut kit making your project " easy peasy" meaning less cutting and less time! Make yourself or someone you love a wallet that is both useful and stylish! Quilt-Pro is giving their software with an incredible variety of patterns, blocks and designs for you to create your own personalized quilt block or pattern on your PC or Mac! Be sure to share this fab giveaway opportunity with all of your friends! They will love you even more!!!! This giveaway will be run through Rafflecopter. You are not required to do all of the options offered. There is only one mandatory option and the rest we hope you will happily do! Your chances of winning will increase with the more options you choose. The giveaway is open to all of our international friends! 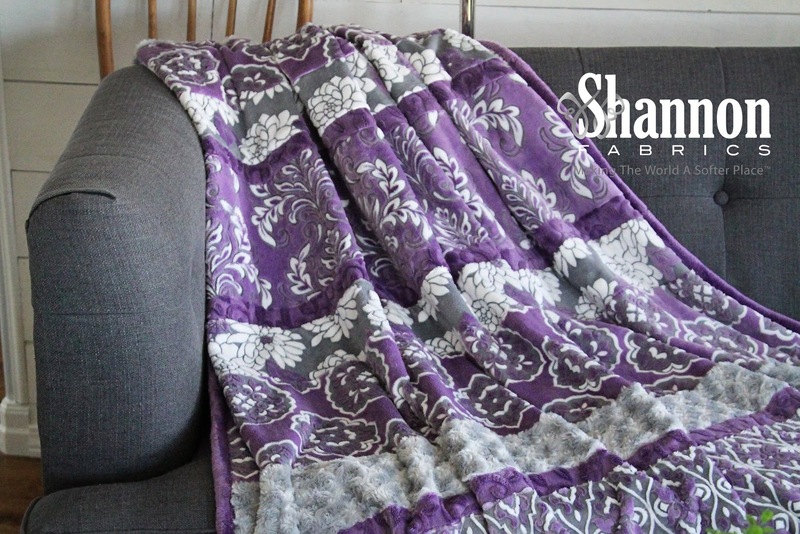 This SWAGtastic giveaway closes at 05 Nov 2018 at 3pm CT ( the same time as the close of Quilt Market in Houston) and one random winner will be chosen from the Rafflecopter entries and contacted by on or by 08 November 2018. The winner will be announced on the blog post. Unfortunately, I've never been to any quilt market. But there's always next year! It's on my Bucket List, but haven't gotten there yet! One day. I'd love to go, maybe next year? I have never been to Quilt Market and I just don't see that ever happening for me. I have never been to market, but it sounds fabulous. Thanks for the great giveaways! Wow, that's some serious swag! Boy my wish list is getting really really long. Only to the one in Chattanooga Tenn.
What an incredible give away! Oh what a fabulous giveaway!! Never been to quilt market...maybe next year! Thanks for the giveaway! Living in Houston, I attend Festival every year. One of these years, I hope to volunteer with Quilts, Inc., during Market. I haven’t been to quilt market. I would love to go, maybe someday. I've never been - thanks! I have never had the opportunity to go to quilt market - I love that many post pictures and share the excitement with those of us who cannot go! thank you! I've not had the opportunity to go to a quilt market yet. Maybe someday! I've never had the opportunity to attend, but some day I hope to. Thanks for hosting this amazing giveaway. I have never been there. Thanks for sharing your fun time there! I am from Germany. No chance to visit the market. But a chance to win one of the wonderful prices. I was able to go once, but I am a teacher and only get so many sick days. I would love to go again. Maybe when I retire! No, I've never been to quilt market :( I would love to one day though. Thanks so much for this fabulous giveaway!!! I have never been, would love to go see all the new goodies though! I have never been to market at all. Some day!! I’ve never been to quilt market x sounds like so much fun, though. Maybe next year, they can giveaway a trip to market! Never have been but would love to go one day. I haven't been to either quilt market or he quilt festival, but the festival is on my bucket list! I volunteered for Spring Market 2017 for 3 days. It is both exciting and overwhelming. So much to see and not enough time to see it all. I met some of the quilting all-stars. A dream it was. I have not been to International Quilt Festival yet but it is on the to-do list. Market fascinates me, I hope to go someday. Would love to go to quilt market someday. I love seeing all the photos of booths and new fabrics. I have not been to Quilt Market but I can always hope. I have never been to quilt market. I hope to go next year and just drool the whole time. I have a friend who lives in Houston....someday I’m going! I have not ever been to Quilt Market. Looks like a fn place to be! thank you for coming up with the #missingmarket party, staying home is fun too ! I've never been to Quilt Market but I would love to go one day. I have never been to marker but appreciate all the great posts with eye candy. I have never been to Quilt Market or International Quilt Festival. Maybe someday.. I've never been to quilt market but it's on my bucket list! I have never been to quilt market but one of these days I would love to go! Thanks for a chance! 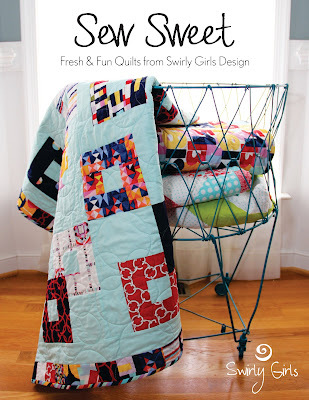 Never been to Quilt Market, but I know it would be incredible for sparking my creativity! I have never been to Quilt Market...that would be a dream trip !!! I haven't been to quilt market but love looking at all the posts! Great giveaway - thanks!!! There was a time when IQF had shows in Cincinnati and I was lucky enough to go to that a couple times. I haven't been to Market or any of the Houston events but I would love to go. Fabulous giveaway, thank you! Quilt Market = Bucket List! One day I'll make it to Market...until then I'll just live vicariously through all the social media posts!! Thanks for this awesome giveaway!!! I have never been to quilt market but it is on my bucket list. I have been to the International Quilt Festival once - I took a bus from Wisconsin to Houston and it was one of the best trips ever! I have also been to market once when it was in Minneapolis. I hope to go again someday but I think my kiddo's need to grow up a bit more first! Not yet! I just moved to Texas and hope to get to festival one day! I'm only three hours away! I've never been to market, but have been to a couple of shows. Thanks for the chance to win! Market sounds like a great time...maybe someday. Thanks for the giveaway!! Not this year but 2020 we have it marked for our guild. This year though we have a few members that live in Texas going. Our guild is world wide. I went to market once, in 2006. Fantastic and overwhelming. The convention center is so big I had trouble walking by the last day. But the things I saw made it so worth it. I want to get to the quilt show after market sometime. Thanks for this fabulous giveaway. Yes I went to Quilt Festival in Houston in 2016 and I’m headed back in 2019!! I can hardly wait! I took classes, saw all the vendors and of course all of the wonderful quilts. My favorite was the special exhibit by Susan Carlson. I was lucky enough to take a class from her this past September and loved every minute of it. I was supposed to go to Quilt Festival this year but had to have surgery at the end of September and still recuperating but I’m loving seeing all the pictures from Quilt Market! Thanks for the wonderful give-a-way and great prizes! What a great freaking giveaway!! Wow!! So many things I love on the list (and NEED) I'll keep my fingers crossed. Wish me luck!! I've never been to market but every year I sit at home envious of all those who are there. I've never been to Quilt Market, but I know it would be a lot of fun. I love going to the small town quilts shows not far from me. I've never been to Market, but I hope to get there one day! Sadly, I have not been to market. I live vicariously! I attended the Quilt Show a few years ago and would love to go again. I haven't been to Market but would love to go. It looks like so much fun. WOW! That is some giveaway. No, I have never been to a quilt market, but I would love to. Maybe one day........Thanks for the chance. I go to festival all the time! I hope to go to market one of these days! I went to the festival once. I'd love to do it again! Thanks for the fun! I am new to the quilting world (made my first quilt two years ago), so I haven't been to ANY quilt shows. That needs to change!!! I would love to go to quilt market but it probably won't happen. I've never been to Quilt Market or Festival - but Festival is definitely on my bucket list! I'm following Market on IG a bit ... Thank you for the great giveaway! No I have never been to Quilt Market. I've never been to market - just live vicariously through those who do! I haven't been to Market or festival yet, but my quilts with Island Batik are there. Not fair that they travel more than I do, lol. Thanks for the missing market fun. No, I haven't been to the International Quilt Market or International Quilt Festival yet. I would love to go to Quilt Market but I don’t see it happening anytime soon, unless I can go as someone’s helper/lackey!! I have never been to market, but I love seeing all the pictures and blog posts. 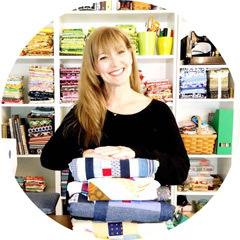 I absolutely LOVE quilt Market as I always have learned so much to help me run my business. 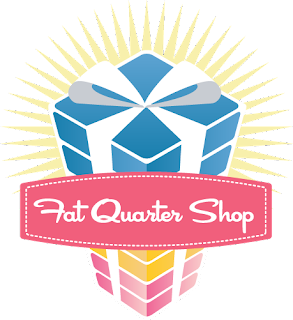 I sold my shop 4 years ago and miss Quilt Market, the camaraderie, the visual feast, and the new stuff! Thanks for the commiserating for missing market! Ihaven't been to Houston and market yet but it is on my bucket list!!!! Wow, amazing giveaway!! Thank you! I've never been to market but it's on my bucket list. Never been to Quilt Market - but I definitely want to go asap - and we're planning a trip next year! Fingers Crossed! Nope, never or not yet anyway! I have not been to Quilt Market or Quilt Festival, but my best friend has. I hope we can go together some day!